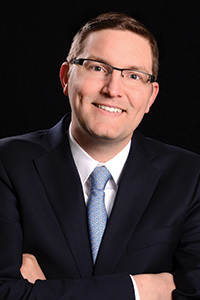 Solomon Cadle is a partner with McKennon Shelton & Henn LLP and a member of the tax team. Solomon focuses his practice on the federal tax law and regulations involving public finance. He has extensive experience serving as bond counsel in 501(c)(3) and municipal general obligation tax-exempt and tax-advantaged financings. Solomon serves issuers and borrowers throughout their tax advantaged financings balancing the requirements of the federal tax law with their specific needs, particulars and goals and tailors a tax advantaged structure that maximizes flexibility for the client while maintaining the tax advantaged status of the financing. Solomon also works diligently with issuers and borrowers in their post-issuance tax compliance matters to ensure the preservation of the tax advantaged status of their financings for as long as they are outstanding, including IRS filings, allocations, remediation, contract revisions and exercising an issuer’s right to enter into a VCAP with the IRS. Solomon has been involved in a variety of projects including hospitals, schools, parking garages, energy facilities, transportation, water and wastewater facilities, and public recreation and open space projects. Solomon is a member of the Maryland Bar and the National Association of Bond Lawyers. Education: University of Baltimore School of Law (JD); Institute for Advanced Judaic Studies (BA).